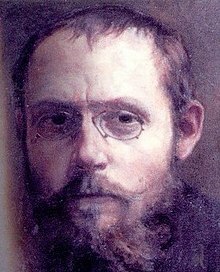 Charles Péguy (January 7, 1873 – September 4, 1914) was a French poet, socialist activist and essayist. There will be things that I do that no one will be left to understand. In my servant the ant, my tiny servant, who hoards greedily like a miser. Who works like one unhappy and who has no break and who has no rest. I am so resplendent in my creation. That in order really not to see me these poor people would have to be blind. Hope is a little girl, nothing at all. Tyranny is always better organised than freedom. The sinner is at the heart of Christianity. No one is as competent as the sinner in matters of Christianity. No one, except a saint. The life of the honest man must be an apostasy and a perpetual desertion. The honest man must be a perpetual renegade, the life of an honest man must be a perpetual infidelity. For the man who wishes to remain faithful to truth must make himself continually unfaithful to all the continual, successive, indefatigable renascent errors. And the man who wishes to remain faithful to justice must make himself continually unfaithful to inexhaustibly triumphant injustices. Dans ce bel honneur de métier convergeaient tous le plus beaux, tous le plus nobles sentiments. Une dignité. Une fierté. Ne jamais rien demander à personne, disaient-ils. … Un ouvrier de ce temps-là ne savait pas ce que c’est que quémander. C’est la bourgeoisie qui quémande. C’est la bourgeoisie qui, les faisant bourgeois, leur a appris a quémander. Work for them was joy itself and the deep root of their being. And the reason of their being. There was an incredible honor in work, the most beautiful of all the honors. … We have known this devotion to l’ouvrage bien faite, to the good job, carried and maintained to its most exacting claims. … Today, what remains of all this? How has … the only people that loved to work … been transformed into one which in the workyard takes the greatest pains not to lift a hand? These bygone workmen did not serve, they worked. They had an absolute honor, which is honor proper. A chair rung had to be well made. That was an understood thing. That was the first thing. It wasn’t that the chair rung had to be well made for the salary or on account of the salary. It wasn’t that it was well made for the boss, nor for connoisseurs, nor for the boss’ clients. It had to be well made itself, in itself, for itself, in its very self. A tradition coming, springing from deep within the race, a history, an absolute, an honor, demanded that this chair rung be well made. Every part of the chair which could not be seen was just as perfectly made as the parts which could be seen. This was the selfsame principle of cathedrals. … There was no question of being seen or of not being seen. It was the innate being of work which needed to be well done. This page was last edited on 19 January 2019, at 12:37.